Here at J&M Window Cleaning, we’ve got a huge amount of respect for all those people who work in the property industry. Along with plenty of folk in other professions, of course, these brave investors have helped to reinvigorate Detroit’s economy in recent years, and that of nearby towns like Troy, Waterford and Birmingham. Coming off the extremely well-documented economic hardships that our great city faced, the turnaround in the property market has been simply stunning. In fact, a whopping 90% of neighborhoods in the Detroit metro area saw their home values increase in 2018. In short, houses that were already built are becoming more and more valuable, and a whole lot of new properties are being constructed too. So, if you’re involved in property here in Detroit… you’re in a pretty good spot! Of course, in order to get to where you are, you’ve already had to put in a huge amount of work, and learn a fair few lessons along the way. One of those lessons has undoubtedly been how vitally important it is to value your time. Post-construction window cleaning is one of the most popular services we offer here at J&M, and it has been since we were founded all the way back in 2003. We’ve continued to attract plenty of new customers in that time, whilst also hanging on to our existing clients, and providing them with post-construction window cleaning time and again. By far one of the biggest reasons behind our success in this field is that we value our clients’ time. It really is a massive priority for us, and we focus on it from the very first moment we make contact. A perfect example of this can be found in our Instant Quote system. To be clear, we are more than happy to talk you through our post-construction window cleaning process via phone or email (and in this particular case, we prefer to do so) – we’re a friendly bunch, after all! In order to save you time, though, we’ve made it possible for you to get a quote for our work without needing to do this. You can simply use Instant Quote, enter in the absolute basic information we need to know – your name, phone number, email address, and so on, select ‘Commercial’ at the bottom, and… that’s it! In truth, we much prefer to actually come out and take a look at your new construction for ourselves – whether it’s in Troy, Bloomfield Hills, Detroit or Waterford – so that we can give you as accurate a quote as possible. If you’re utterly and completely pressed for time, however, we’re happy for you to simply use the Instant Quote system. Of course, when it comes to the post-construction window cleaning itself, we’re also extremely speedy! Thanks to our aforementioned extensive expertise, our expert training and our excellent equipment, we efficiently deliver consistently outstanding results in a short space of time. In the construction industry, speed is often of the essence. 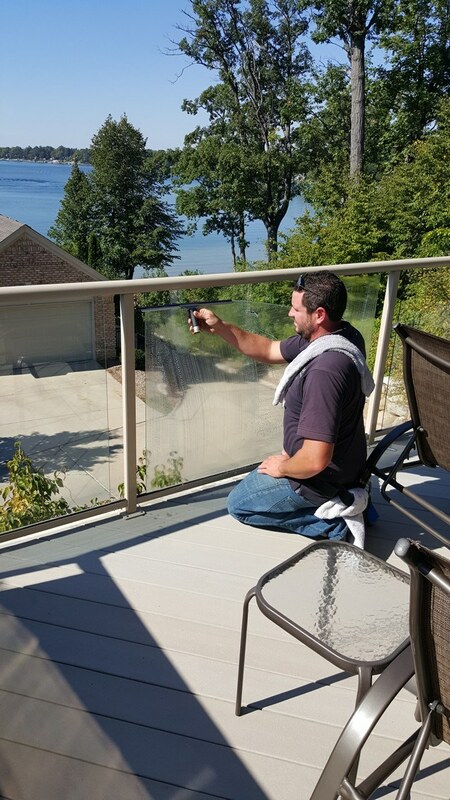 Post-construction window cleaning is something you absolutely need, but it doesn’t have to cost you precious time. To start your enquiry into J&M Window Cleaning’s service now, either use our Instant Quote system, call us on (248) 605-2243, or email us at CleanWindows@JMWindowCleaning.com.